You already know English, one of the most widely spoken languages on Earth. Now, it is time to learn Mandarin Chinese, which is the first language of nearly one billion people. You really can’t go wrong if you know both of these languages, so you just need to dive right in and start learning. Perhaps the roughly 3,000 characters and symbols that form the Chinese language scares you. That is understandable, but remember that you do not need to learn them all at one time. Let us go over a plan that will teach you how to learn Chinese language through English. The process of learning Mandarin Chinese does not need to be expensive or time consuming. You can learn to read, write, and speak Mandarin Chinese as you encounter a new series of words and sentences each day for free. You really can’t beat that price. You will learn greetings, such as how to say hello and goodbye, along with the common phrases that you need to communicate with people on an everyday basis. 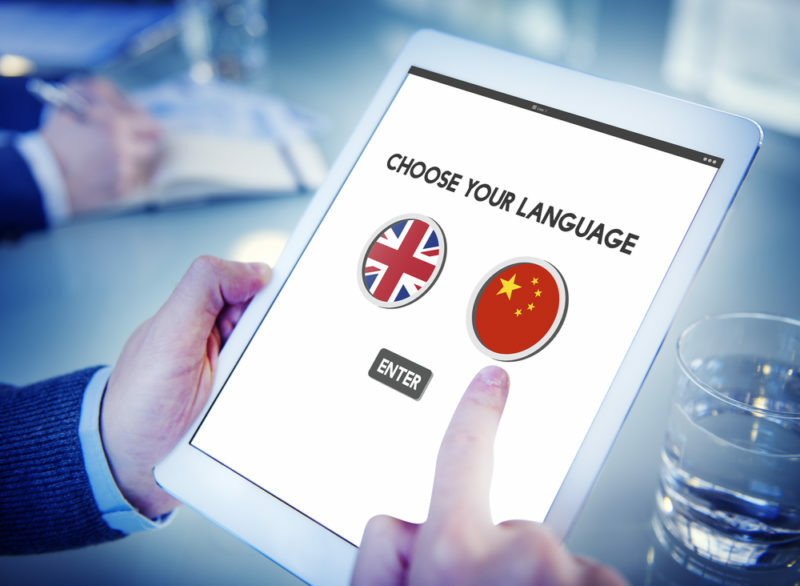 As you learn, all of the words and sentences will be spoken to you by a real Mandarin Chinese speaker, so you will begin to develop a sense for what the language really sounds like. All of this will aid you in learning how to pronounce each word and phrase correctly. As you consider how to learn Chinese language from English, you will want to look at a lesson by lesson approach. This system provides you with ten free lessons that will provide you with the basic foundation in Mandarin Chinese that you need to be successful. These ten lessons are designed to help you learn some of the words and phrases that are considered to be the most important in the Mandarin language. It is important that the learning process be as simple as possible so that you will be motivated to keep going. While you will not learn the language overnight, this system will provide you with the resources that you need to learn Chinese over time. If you decide that you enjoy these lessons, and they are proving to be a benefit to you, then you can subscribe to a few additional lessons that can be emailed to you over the course of seven days. This will provide you with even more grammar related notes, in addition to 1,000 of the top Mandarin Chinese words and much more. You only have to provide your name and email address to receive these seven days of free lessons. We would like to tell you about six primary steps that we think will help you to learn the Chinese language. Find yourself a phrasebook that contains many of the simple Chinese phrases and words that people tend to use every day. Write each of these down on a series of flashcards and begin to memorize them. Begin studying the fundamentals of Chinese Mandarin. Examples of this include learning how to ask questions correctly, pronounce words, and create grammatically correct simple sentences. Look around your area or online to find a Mandarin Chinese teacher that can help you learn the language. Alternatively, you could enroll in a Mandarin class locally or consider visiting China to immerse yourself in the language. Decide if you actually want to learn the Chinese characters. This is a difficult process and it is not for everyone. You might decide that you just want to focus your efforts on learning to speak Mandarin Chinese, and this is perfectly acceptable as well. Implement a vocabulary building strategy that is based on spaced repetition to help you learn all of the phrases and words that you will be introduced to. Make sure that you learn how to correctly use the four tones in the Chinese language correctly. Using a tone incorrectly can completely change the meaning of a word, creating a potentially embarrassing situation. There is a Chinese Mandarin application on L-Lingo that will help you by providing a total of 105 different lessons. This will give you an extensive array of grammar notes, along with thousands of new words that you can begin to use. You will be able to learn how to pronounce words and phrases via the high quality audio that was incorporated into each lesson. When you ponder how to learn Chinese language from English, you must think about grammar. This is the building block of any language, and Mandarin is no exception. Our free lessons will help you start out on this journey by successfully learning some of the more basic concepts in Chinese grammar. As you begin, you will want to keep in mind that Mandarin is the official language of China. That being said, there are other forms of Chinese that are out there, including Cantonese. As Mandarin is spoken by a majority of the Chinese people, this is probably the best place to start. With that in mind, know that Mandarin Chinese uses a series of characters, phonetic script, and tone marks to make the language easier to identify. You will find that the Chinese characters are used throughout Chinese culture. They are, if you a will, part and parcel with being Chinese. You will find them on billboards, in books, on street signs, and just about everywhere else. You will also notice that Mandarin makes use of phonetic scripts and tones to better signify the spoken language. You will find that these are mostly used in dictionaries and textbooks. They are designed as a way to better guide language learners in their efforts to correctly pronounce each character. In comparison to other languages such as English, it can be said the foundation of Mandarin Chinese grammar is not very difficult at all. We can say this because, in most cases, every word stays the same. There is not a need to conjugate a word, and there are no plural forms to be concerned with. Whereas many Latin based languages are hung up on gender-based pronouns, you will find none in the Mandarin language. In addition, there are no articles to concern yourself with. These are just some of the basics of Chinese grammar. It should have sparked your interest by now. You can do this, and you can begin for free. Learn some phrases and words. Hear them pronounced by native Chinese speakers. This will motivate you to continue learning even more words. We are here to help you every step of the way.